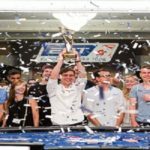 This certainly is a time to celebrate for the Swedish poker pro named bencb789, because he has done a great job by winning one of the best poker event in the world i.e. 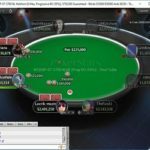 $102,000 No Limit Hold’em buy in, 8-Max, Super High-Roller of the WCOOP 2016. 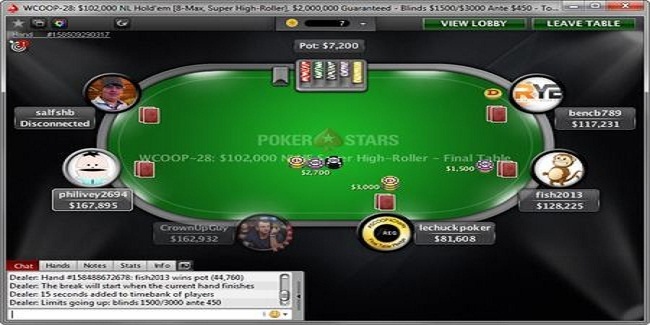 This was the event#28 of the prestigious world cup of online poker, which got 28 entries from various parts of the world at the internet and generated a whooping cash prize pool of amount $2,800,000, but it was bencb789, made the difference and collected the first prize of amount of $1,172,360.60 as well as the trophy. Top 3 places of the event get paid. The day 2 of the event began with players such as bencb789 (seat#2, with total 117,681 in chips), Seat 3: fish2013 (130,175 in chips) and seat#4 for Igor “lechuckpoker” Kurganov having (85,058 in chips). Seat#5, sea#6 and seat#7 were for Fedor “CrownUpGuy” Holz, the German superstar, who was in to the business and has done great ij his past few high Rollers. He had 163,382 in chips, Isaac “philivey2694” Haxton (168,345 in chips), and salfshb (175,359 in chips). But things were different after the break and jus after a few minutes; it was fish2013, got busted to sixth place, playing against Holz K♣ 2♣. Then nearly after half an hour Isaac “philivey2694” Haxton got busted and leave the field for the rest of the players. 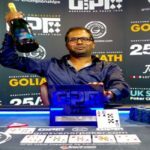 The first player in the final table hit the rail was UK’s salfshb, who pocketed $560,000 from the High Roller. 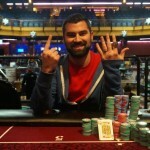 The heads up was among Swedish bencb789 and Austrian Fedor “CrownUpGuy” Holz. A heads up deal took place in between these two, which decided bencb789 is the championship for ($1,172,360), whereas Fedor “CrownUpGuy” Holz, collected $1,067,639, being runner up. Please take a look at UK poker sites for all the details regarding online poker in the United Kingdom or in the world. We will let you know every detail about this poker series as well in future.